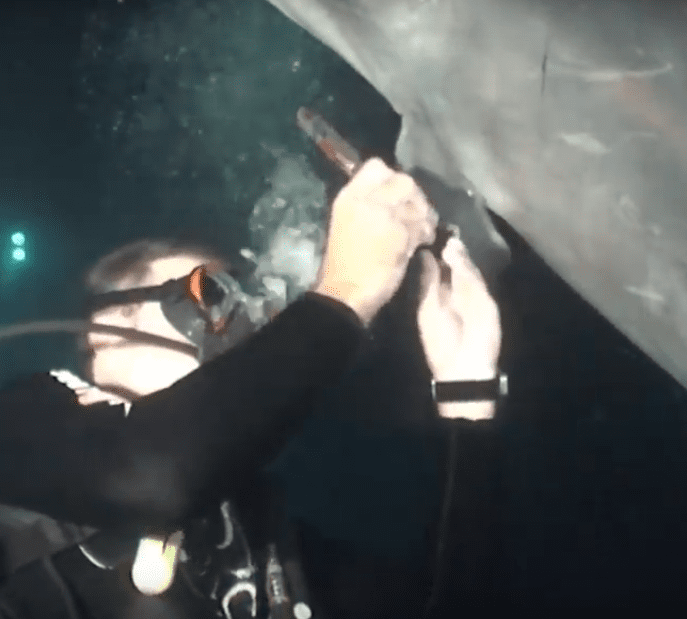 Keller Laros is a diver who lives and works in Hawaii. 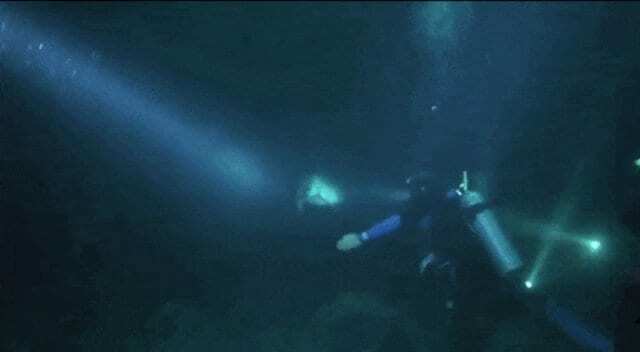 Laros has seen some incredible things on his many dives, but one of the most amazing encounters he ever had was with an injured dolphin. 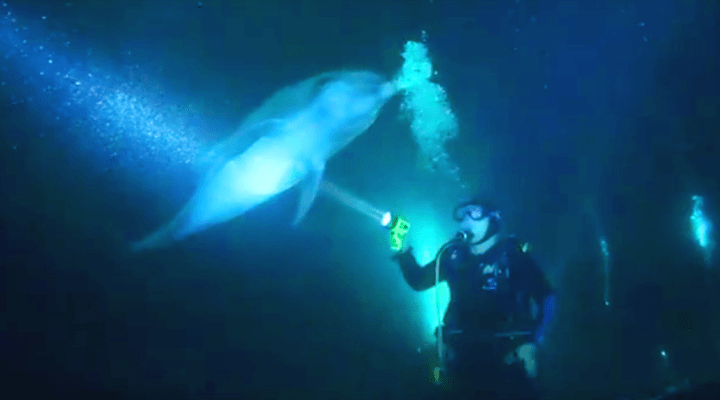 This encounter happened in January 2013, during a night dive in Makako Bay. Laros was diving with his friend Martina Wing, a manta ray advocate. The pair were deep in the ocean, watching manta rays go by. Then, the dolphin swam up to Laros. The dolphin stayed by Laros’ side, and Laros quickly figured out what was wrong: there was a fishing hook in the dolphin’s pectoral fin. Somehow, the intelligent creature knew that Laros would be able to help him get it out. 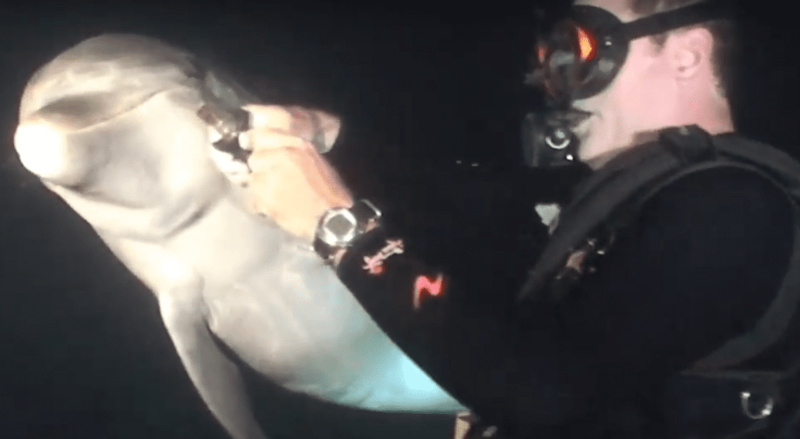 As Martina Wing filmed, Laros pulled the fishing hook out of the dolphin’s fin. There was also a fishing line wrapped around the animal’s fin, and so Laros pulled out a pair of scissors and carefully cut the line off. The dolphin was so grateful for the help! Once the fishing line was off of his fin, the dolphin swam away. Laros waved goodbye to the dolphin, and it almost seemed the dolphin waved back! 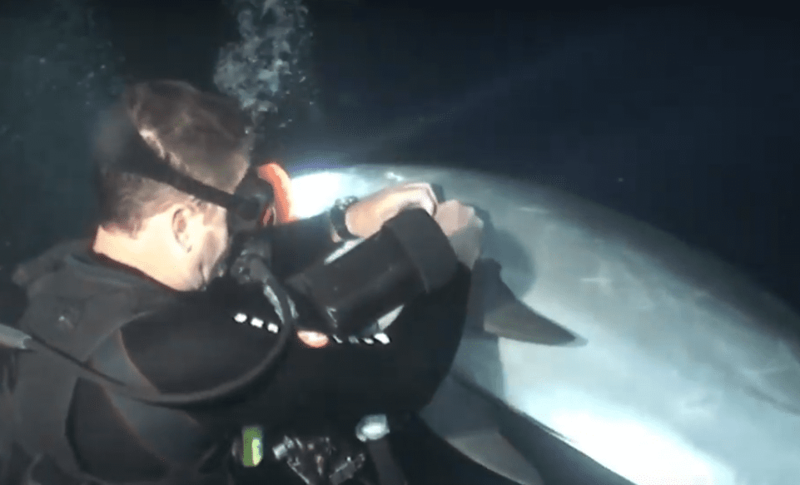 Video of Laros and the dolphin quickly went viral. Everyone was amazed by Laros’ encounter with the marine mammal. 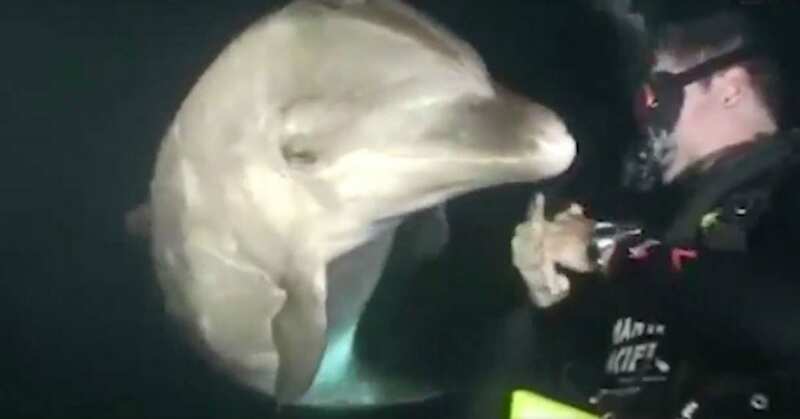 On YouTube, many people commented on the dolphin’s intelligence. They said that it was clear that the dolphin was very clever. After the video went viral, Wing wrote a children’s book about her and Laros’ time with the dolphin. She named the dolphin Notch! Wing also started an Instagram page where she shares photos of Notch and other dolphins she has seen during her dives. She hopes that Notch’s story will help people understand why it’s so important to properly dispose of fishing hooks and fishing lines. Laros didn’t see Notch for five years after their first encounter. But finally, Laros saw Notch again in September 2018. Laros recognized Notch by his distinctive white scar by his left eye. The dolphin hung out with Laros for a while, playing with him and swimming around him. It seemed like Notch recognized his rescuer! 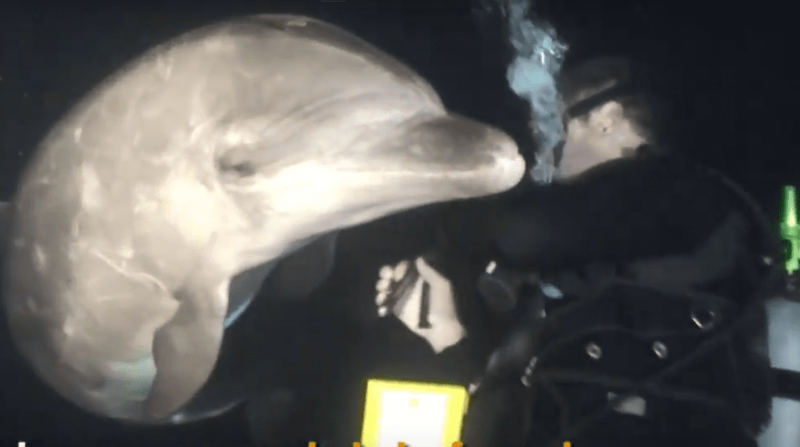 Notch is a smart dolphin who knew just what to do when he got injured. If you want to see Notch and Laros’ amazing encounter, check out the video below.